“England is a lord-loving country,” lamented a foreigner centuries back, and nothing, it seems, pitches the nation into mass hysteria than a royal wedding. Other than the pomp and circumstance, the public fuss is a thing to beh­old. 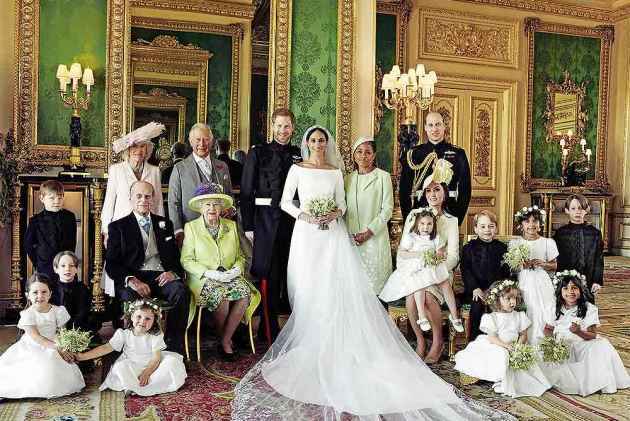 Though lower in key than his brother’s wedding (for the man might be king), Harry and Meghan had their share of grandeur, and posed with the royal brood for a handsome official photo. Shock­ingly, Priy­anka arrived at the wedding looking like a plain debutante trying too hard to impress. By comparison, look at Amal Clooney (sadly, not in this picture). If you have seen that bicycle kick goal against Juventus, you know who’s boss. 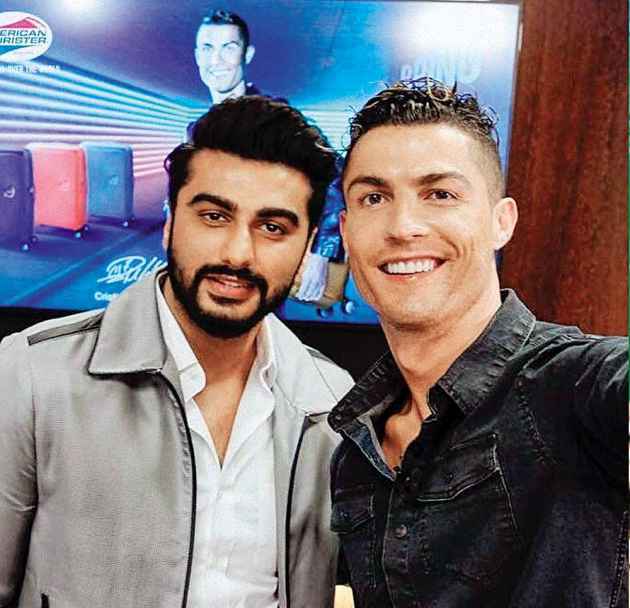 So when Arjun Kapoor met Cristiano Rona­ldo in a promotional campaign, he curbed his cinematic swagger and brought out an expression suitably res­p­ectful. Natural, in the presence of greatness. Didn’t she stand out for being the only family-member disinclined towards acting? What made Shweta Nanda take the inevitable plunge into the family trade isn’t known, but there she was, playing a caring daughter to an aged Amitabh, in a commercial for a jewellery brand. Girls, You Need A Lift? Bollywood has finally chanced upon the idea of the female equivalent of a ‘buddy movie’. The sorority in Veere Di Wedding, seen here posing showily on the beach in swimwear, comprises Shikha Talsania, Sonam Kapoor, Swara Bhasker and Kareena Kapoor, who preens as if she’s facing a camera on a fashion ramp. Some people can only act the diva. 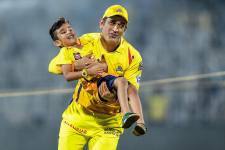 It’s the age of quasi-mythical, heroic mumbo jumbo dressed up in the garb of ancient Indian glory. 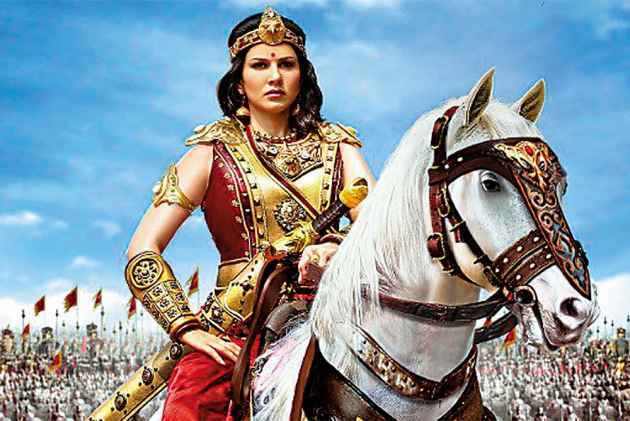 The latest off the assembly line is the Telugu/Tamil Veeramadevi, the tale of a vengeful queen, played by Sunny Leone, at the head of an army. Do you think she would have a passionate love life? Place your bets on it. Ishika Sharma grew up in Wimbledon and started on the catwalk remarkably early, while still a girl. That sparked off a life of modelling, invo­lving the exciting life cho­ices of eating brown rice, keeping her “carb complex simple” and avoiding processed foods. The King­fisher Calendar 2018 model also loves the movie Dev­das, idolising Ais­­h­­­warya. With the Queqiao relay satellite, which was launched on May 21, China aims to be the first country to explore the ‘dark side of the moon’. The name of the satellite means ‘Magpie Bridge’ and takes its origins from a Chinese folk tale where birds bridged the gap between two heavens to unite lovers.